This is an opportunity to listen to leading women and men share their stories, life skills and business expertise. Nov. 25, 9 am to 6 pm. Rose Garden Hotel, Upper Pansodan Street. 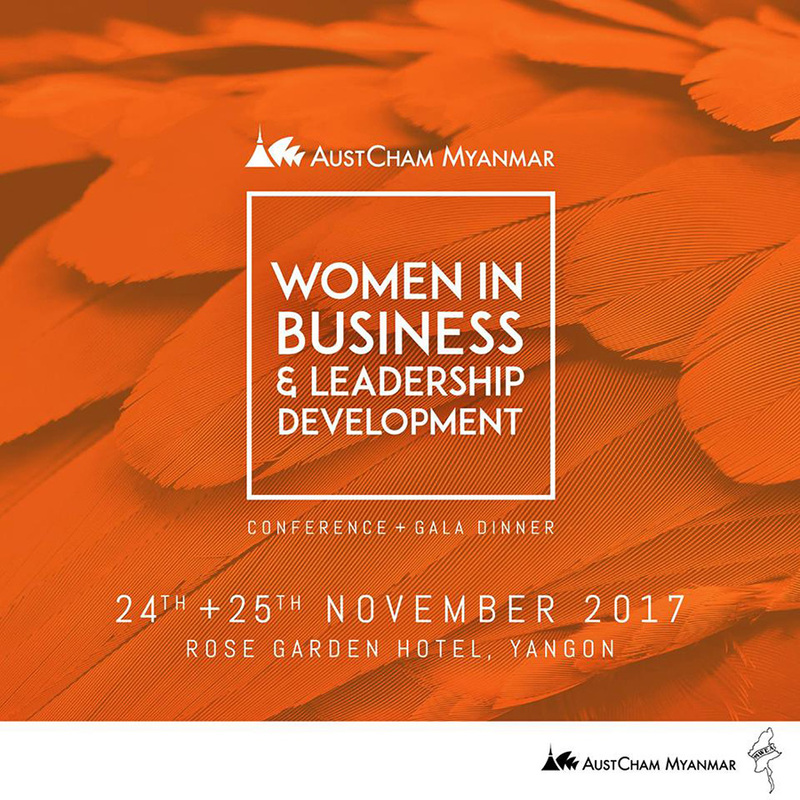 Tickets at shop.com.mm for 15,000 kyats, which includes lunch, tea, coffee and refreshments throughout the day. 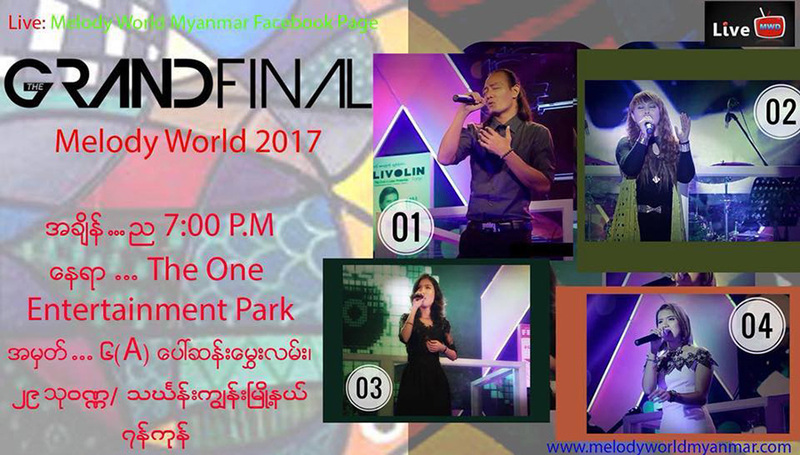 The Melody World singing contest 2017 finale. Nov. 25, 7 pm. The One Entertainment Park, Paw San Hmwe Street, Thingangyun Tsp. Free Admission. 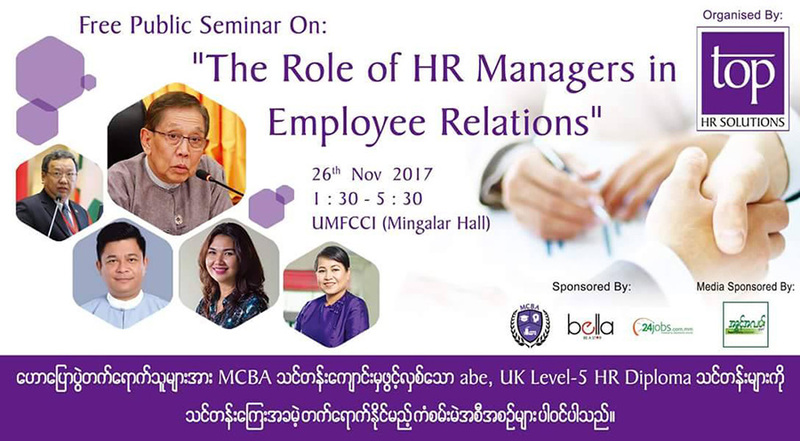 Professor Dr. Aung Tun Thet and other HR practitioners will give talks on the role of HR managers in employee relations. Nov. 26, 1:30 pm to 5:30 pm. UMFCCI Building, Min Ye Kyaw Zwa Road. 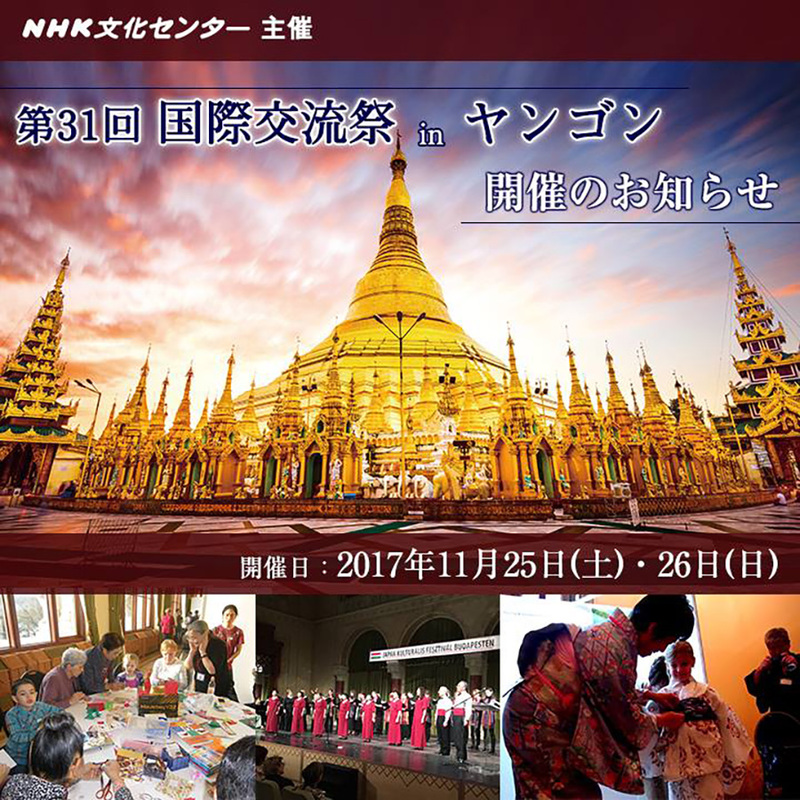 This event will feature Japanese cultural exhibits, dances, Karate demonstrations, piano performances and more. No. 25-26, 10 am to 6 pm. Meliá Yangon Hotel, Kaba Aye Pagoda Road. Free Admission. The event features Lip Sync battles for the LGBT community and friends. Nov. 25, 10 pm till late. Muse Bar, No.330, Yangon International Hotel, Ahlone Road, Dagon Tsp. 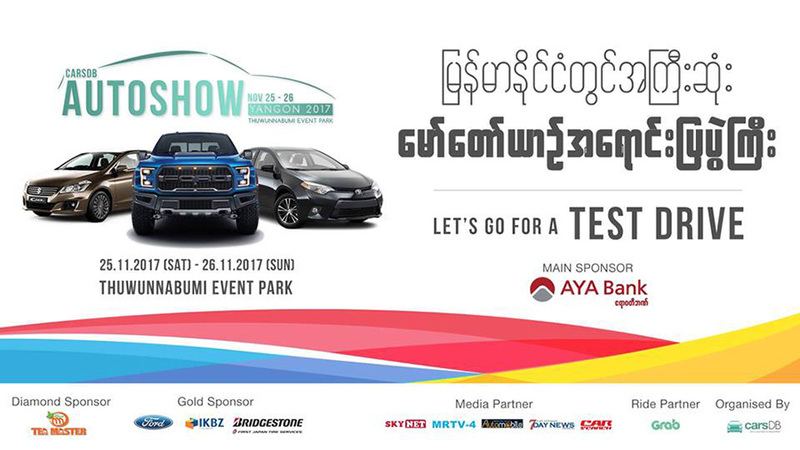 This is the Myanmar’s biggest auto show for car enthusiasts, potential buyers and businesses. Nov. 25-26. Thuwunnabhumi Event Park, Thanthumar Road. Free Admission. 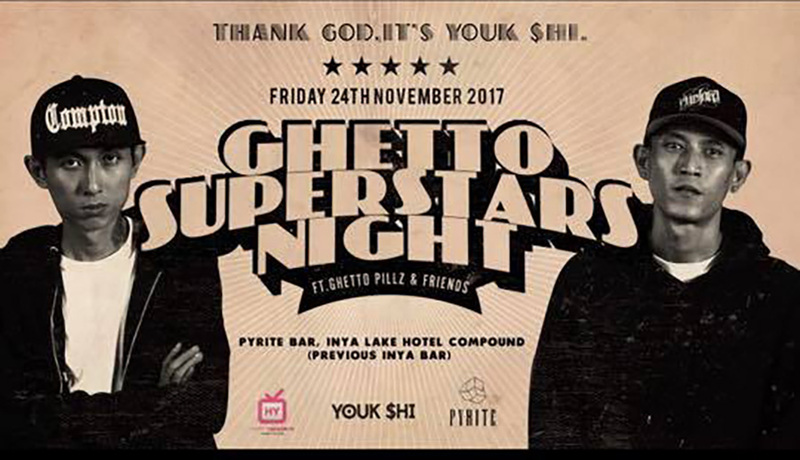 Ghetto Pillz and friends and DJ Zaw Gyi perform. Nov. 24, 8:30 pm till late. Club Pyrite, No. 37, Kaba Aye Pagoda Road near Inya Lake Hotel. Ticket 5,000 kyats at 09-595156769. This art exhibition will showcase creations by artists from across Myanmar. 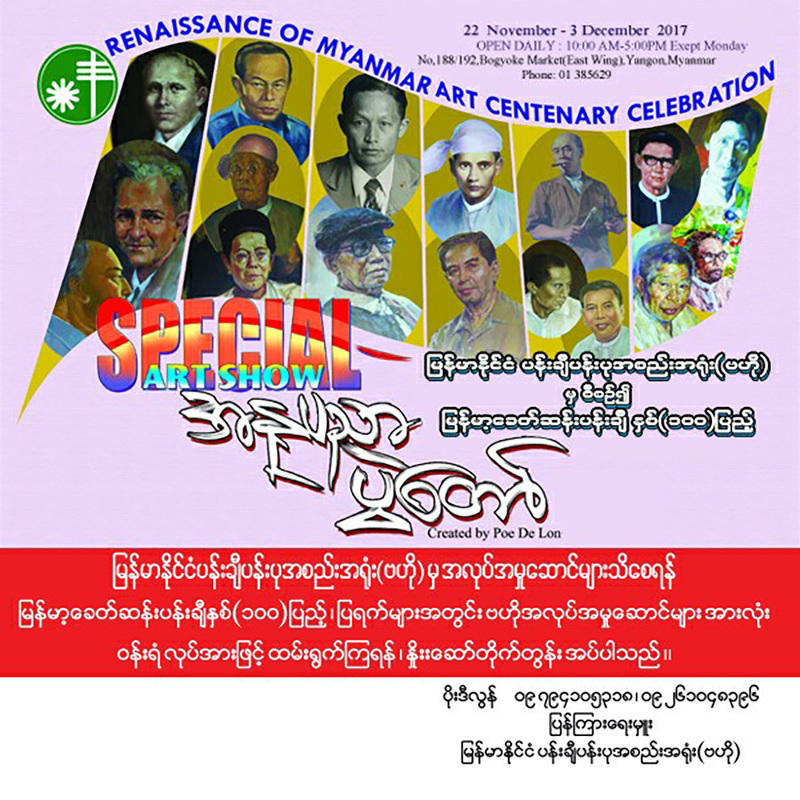 Nov. 22 to Dec. 4, Myanmar Artist and Artisan Association, Bogyoke Market. 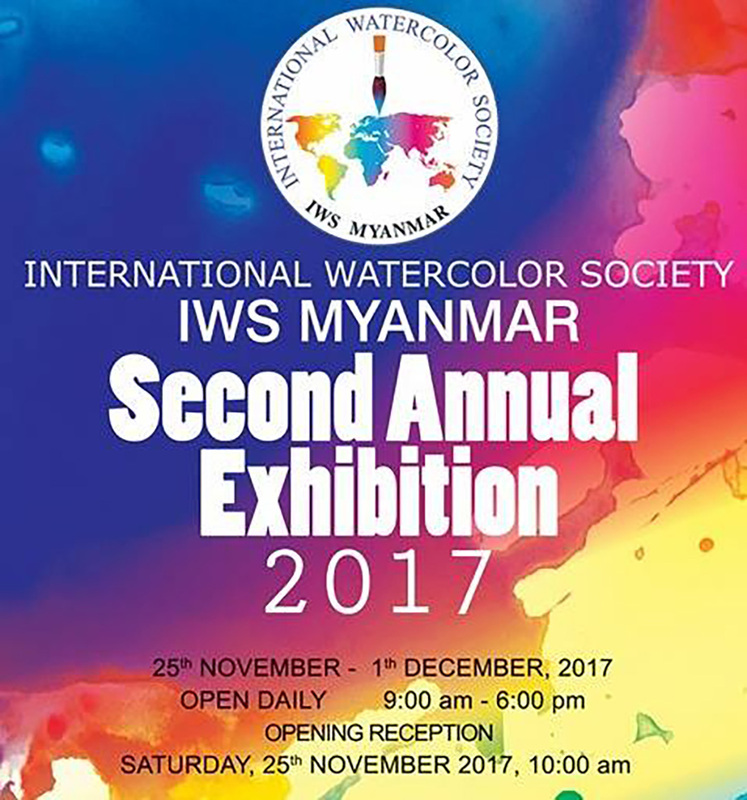 The second annual exhibition of International Watercolor Society will showcase hundreds of watercolor paintings by local and international artists. Nov. 25 to Dec.2. New Treasure Art Gallery, No. 84/A, Thanlwin Street, Golden Hill Avenue, Bahan Tsp. 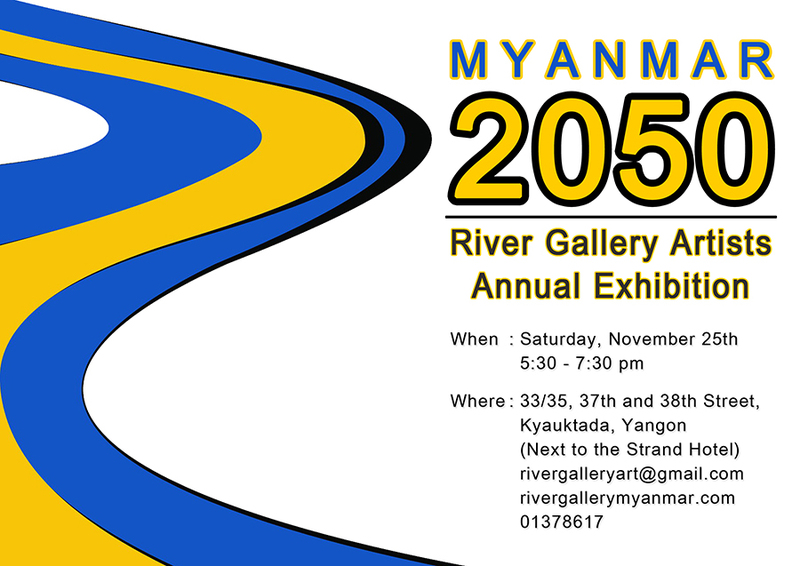 This is a group art exhibition of 35 artists foreseeing Myanmar in 2050. Nov. 25 to Dec. 3. River Gallery, 37th Street, Kyauktada Tsp.